Bedlam house has been lovingly refurbished by us personally, after standing empty for 12 years we have created three beautiful rooms for our guests to enjoy. After running a very successful guest house in town for 19 years we sold up to follow other ambitions, but after 4 years we decided we really missed the buzz of meeting new people and making sure they had the best holiday ever. 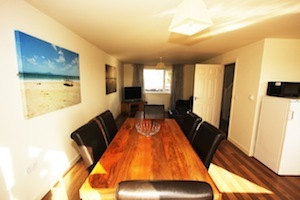 This time on a smaller scale we hope to carry on as before and offer top quality accommodation. That little bit if luxury which we all deserve when we stay away from home. 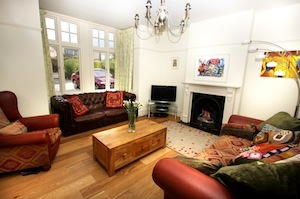 For more information and pictures of Bedlam House, please go to our about page. Ebb Tide offers 2 tastefully decorated en-suite bedrooms beautifully furnished with lavish mango wood furniture and Laura Ashley cast iron beds. Downstairs comprises of a spacious, open plan lounge/kitchen/diner complete with a leather sofa, 37" LCD Freeview TV and DVD player, dining area and fully equipped modern kitchen. For more information and pictures of Ebbtide, please go to our about page. For booking enquiries, please contact us.